The Big City Bag Ornament is part of the 2012 Radko State and Destination Collection. 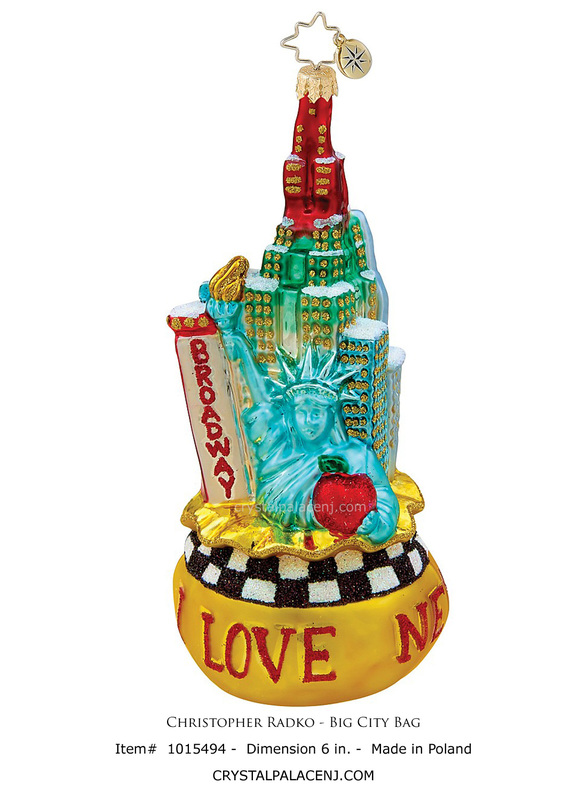 This collectible glass Christmas ornament features a bright yellow and checkered bag full of symbols of the Newy Work. 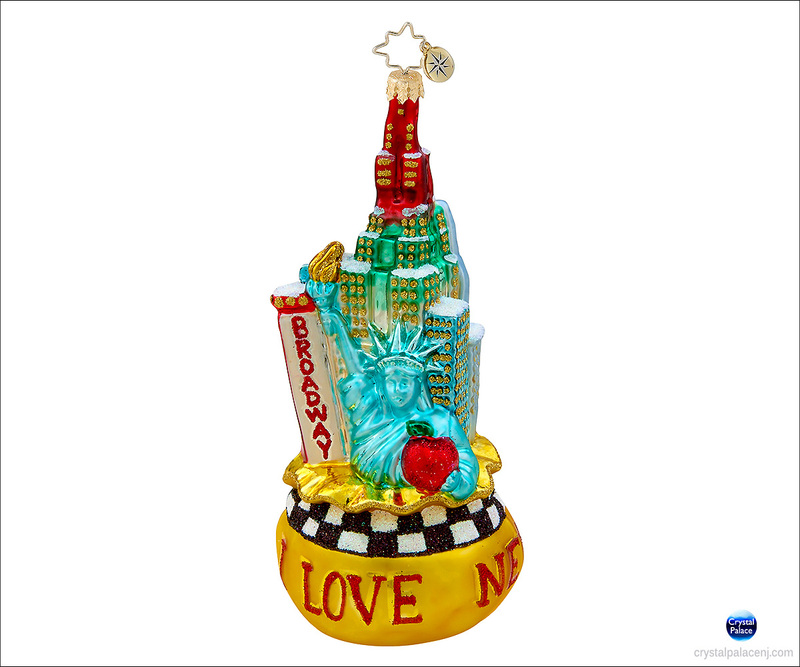 The Big Apple highlights include: The Empire State building that rises beside Lady Liberty holding an apple and a bright Broadway sign.